Wells’ new Heritage Centre launches! Ian draws Wild Times for #TheBigDraw 2016! Merry Christmas from Ugly Studios! Hat-trick of Awards for Langham Dome! St Nicholas’ Chapel – the Grand Re-opening! Langham Dome shortlisted for AHI 2015 Award! Heritage Lottery Fund success with Wells Maltings! WWII Touch-screen deployed at Chelmsford Museum! I can hear the bells…. The South Creake bells! Missiles, mystery and military history at National Trust Orford Ness Quayside Office! Hurrah! Ugly Studios Wins World War Two Touchscreen Commission! Langham Dome: Open for Business! Ugly Studios model on BBC Springwatch 2014! The 12 Boards of Christmas! Flying high with Langham Dome! Orford Ness: A nature reserve with a difference. Chocks Away for Langham Dome! We are delighted to announce that, after a competitive tender process, we will be working with English Heritage to design an exciting, informative and child-friendly display at Castle Acre, Norfolk. 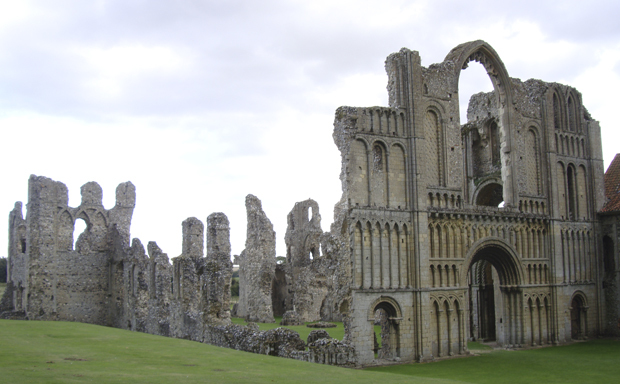 Castle Acre is a fascinating site – an impressive group of historic monuments, including a ruined castle, fortified town and priory, built in the 11th and 12th centuries. 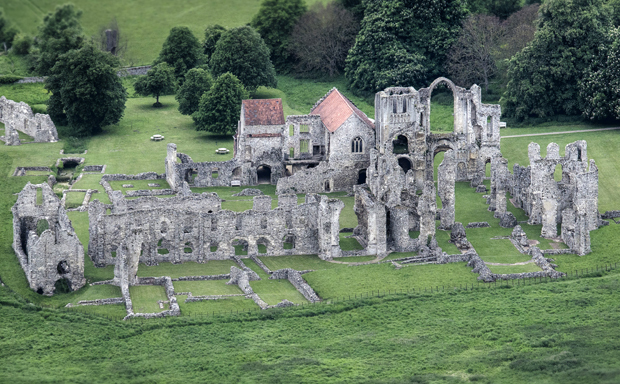 Our role will be providing new interpretation at Castle Acre Priory, aimed to engage their younger visitors. 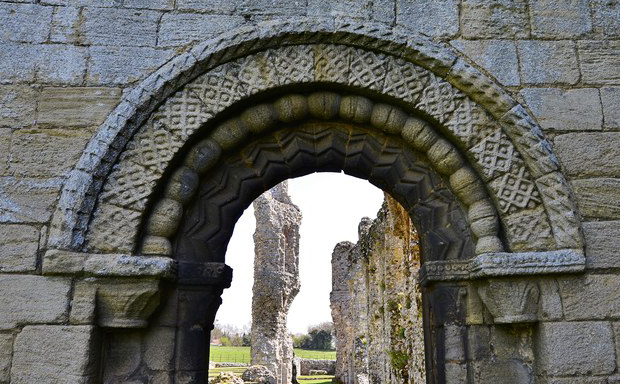 Our interpretation will look at the stonework of Castle Acre in a completely new way, inviting older children to make connections between the display and what they see on site. There will also be other elements designed for younger children, in the form of tactile low-tech interactives, to create a fun and light experience. Our interpretation will be highly pictorial and accessible, helping young visitors to recognise corbels, bosses and pieces of archway in a fun and engaging way. We’re also pleased to be working with Blackbird Publishing, who will be creating a family trail for the Priory and village. Our projects are always user-centred, designed with people in mind. If this works for you, please get in touch! Call 01603 760529, or email info@uglystudios.com. You can also find us on Twitter and Facebook!